Aerofex's hoverbike made waves back in 2012, when the Californian firm unveiled the working prototype. Now the company's back and allowing you to actually buy the thing. 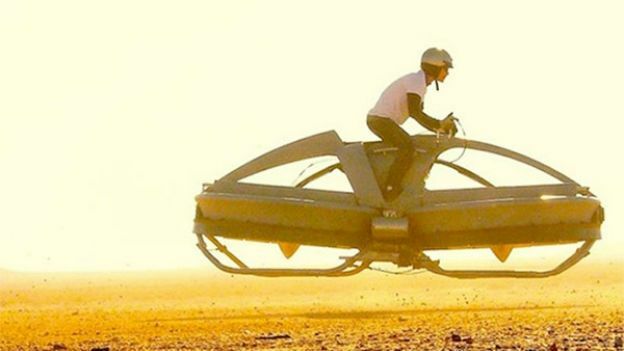 Aerofax has finally announced a price for its upcoming hoverbike and all it'll cost you is a mere £50k. The hoverbike seats two people; wheels have been replaced by carbon fibre rotors powerful enough to lift you 10 feet up in the air. The Aero-X can reach a top speed of 45mph and its creators have revealed it can run for one hour and 15 minutes - making it perfect for a quick trip down to the shops. Although it has a weight limit of 310 pounds to keep in mind. It's available to pre-order now, and is selling at $85,000 (£50,673), not forgetting a refundable $5,000 (£2,981) for the deposit. According to the company's website, it'll ship in 2017. There you have it, next time you win the lottery, you'll know what to buy. Have a look at the video below to see the hoverbike in action.